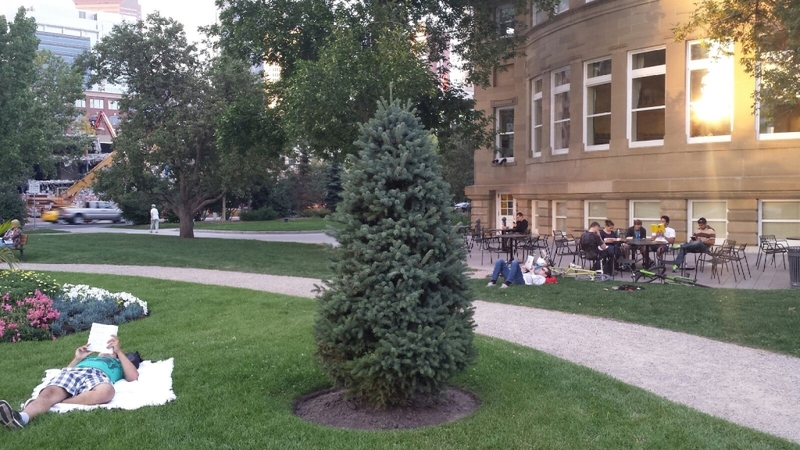 Reading party in a park! 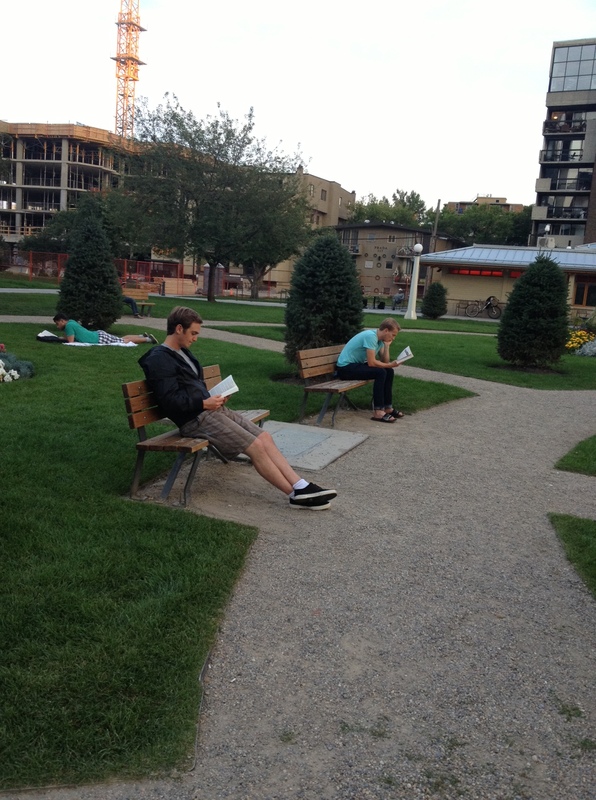 Last night I had a little “reading party” in a nearby park. Now I’ve held one before, but this time it was more fun because it was outside and warm! This doesn’t happen often in Calgary. Anyways it went swimmingly! It consisted of hanging out with friends, socializing for an hour, and then reading whatever book each person wanted to read. Socializing + Reading + Park = fun event. Some tricks to get people to the party? I gave everyone 2 week notice. In addition to making a facebook event, I personally emailed/phoned most of the people. A little personal touch goes a long way. It shows you actually want them to come out to this week day event! Now some still flaked out, but the ones that did attend loved it. People arrived around 7 pm. Everyone introduced themselves, etc. At 8 pm we all read for one hour. I remember some people getting a little restless for it to turn 8 pm so they could finally get there READ on! I didn’t have to act library cop at all either. Except towards the end a couple walking by found it utterly hilarious that 10-12 people were ALL reading in a park and began giggling. LOL. I immediately gave them the evil eye and shhh’ed them! They complied and left. Anyways this is a simple, fun event you can also hold. I give credit to Nev at nevblog.com for spreading the reading party idea. I tweaked it a bit of course and it went off well! Note to self: Bring healthy snacks/drinks for everyone. Oops.